What do you give the new baby girl this Easter? How about a fabulous Baby's First Easter Gift Basket filled to the brim with essential layette items that can be used throughout the year. 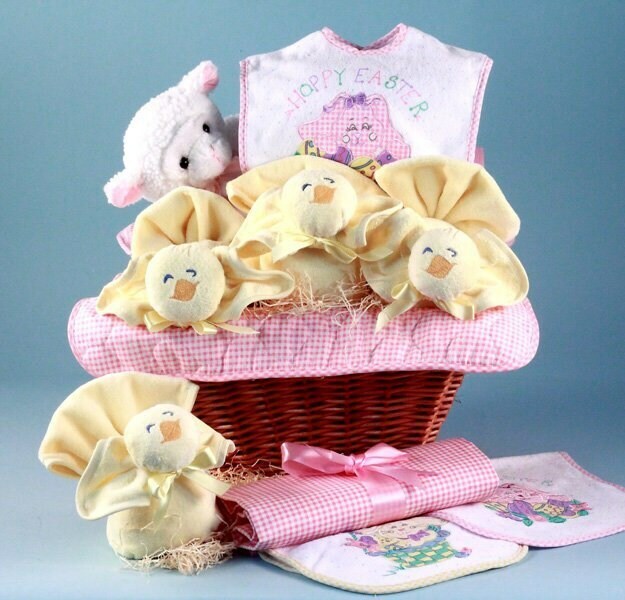 Absolutely unique in every way, this amazing gift basket includes all the animals of the Easter season: a rabbit bib, a lamb cuddly, and the most adorable little chicks washcloths. Each basket is hand crafted to order in the USA.